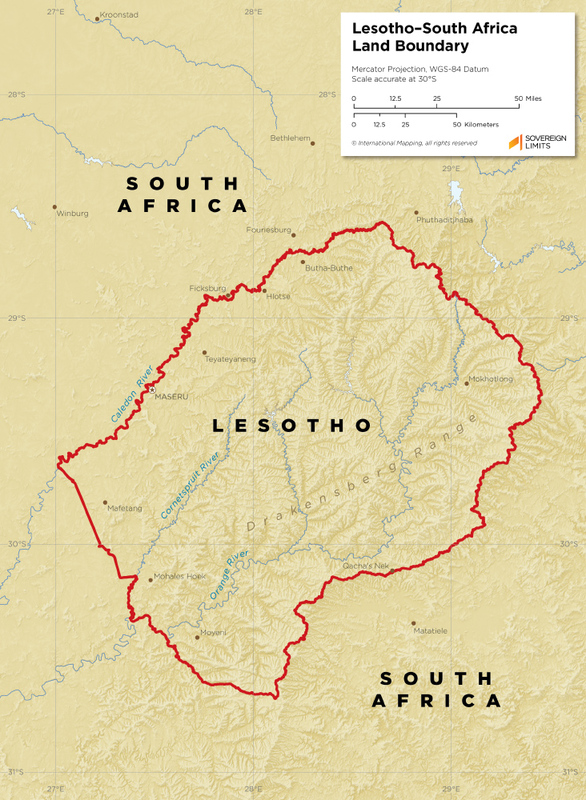 Extending for 1,115 km, the Lesotho–South Africa boundary mainly follows rivers and watersheds. 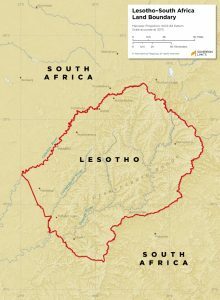 Lesotho is surrounded by South Africa and does not share boundaries with any other countries. The border was first established during the colonial era, mostly by British powers, and has not changed since independence. Lesotho and South Africa do not appear to dispute the current course of the boundary, and there is little information available regarding any modern demarcation efforts.